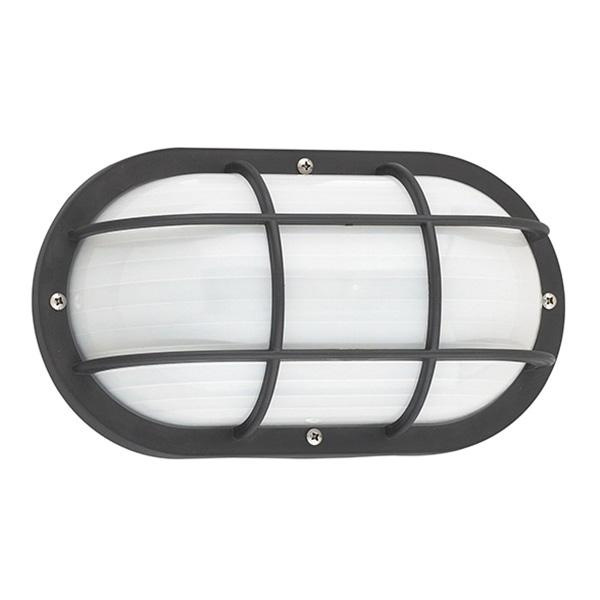 Sea Gull Lighting Bayside Collection Outdoor wall lantern in black finish, features frosted ribbed polycarbonate diffuser shade that brings elegance to the home. Lantern employs one GU24 socket 18-Watt self-ballast fluorescent lamp that has voltage rating of 120-Volts and power rating of 18-Watts. It measures 10-Inch x 5-Inch. Lantern has 4-Inch extension from wall. Lantern is Energy Star certified.